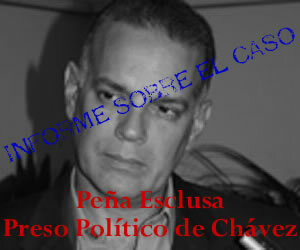 Long-time freedom advocate and former Venezuelan presidential candidate Alejandro Pena Esclusa was arrested on July 12 by the Chavez regime on trumped-up explosives charges, according to various Latin American sources. His arrest adds to the growing list of political prisoners being held in Venezuela including journalists, opposition politicians, and judges who don’t bow down to the regime. The Sao Paulo Forum makes its U.S. debut at the Whitcomb, San Francisco. The Sao Paulo Forum dedicated to the destruction of the United States will have its first public meeting in U.S. soil in San Francisco, California, on Sunday, November 15. Appropriately the forum will meet at the mercifully defined as “historic” Whitcomb Hotel, a place that visitors often consider a dump. The Alliance of Democratic Organizations of America, UnoAmerica, warns the authorities and institutions of the United States that the Sao Paulo Forum (FSP) is already operating inside the US. THE HAGUE, August 4 – Alejandro Peña Esclusa, president of UnoAmérica, arrived today to The Hague to formally accuse Hugo Chavez, President of the Bolivarian Republic of Venezuela for crimes against-humanity at the International Criminal Court (ICC).Mr. Peña Esclusa was received by ICC officials at 11:30AM. CARACAS, Venezuela (AP) — Venezuela’s top prosecutor insisted Thursday that freedom of expression in Venezuela “must be limited” and proposed legislation that would slap additional restrictions on the country’s news media. This is the transcript of an interview conducted by Cliff Kincaid with Alejandro Peña Esclusa, president of UnoAmerica and the author of The Foro de São Paulo: A Threat to Freedom in Latin America. Peña Esclusa, a former Venezuelan presidential candidate and a prominent critic of the Hugo Chavez regime in Venezuela, has been spearheading opposition to the Sao Paulo Forum, a coalition of communist and leftist parties and terrorist movements in Latin America. With the end of the Cold War in 1989, it was believed by many that communism was on the wane. However, with Fidel Castro isolated in Cuba, he reached out to Luiz Inácio Lula de Silva of the Worker’s Party of Brazil, who would later become President of Brazil. An event was hosted in São Paulo, Brazil in 1990, the seat of Lula’s power, bringing together what came to be known as the São Paulo Forum. Viva Honduras! Viva la revolucion! Seven months ago in El Salvador, Mauricio Funes, the candidate of the former communist guerrillas’ Farabundo Marti National Liberation Front (FMLN), was ahead in the polls with more than fifteen percent. The FMLN had –and still has– massive illegal funding, supplied by Venezuelan Marxist strongman Hugo Chávez. Everything indicated that El Salvador would fall into the clutches of Chavez, as has happened with Bolivia, Ecuador and Nicaragua.